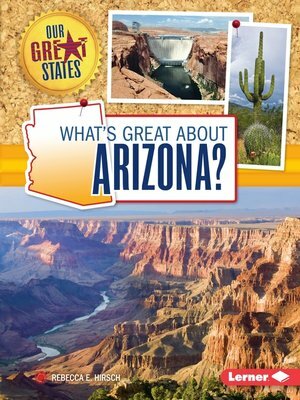 What's so great about Arizona? Find out the top ten sites to see or things to do in the Grand Canyon State! We'll explore Arizona's vibrant cities, stunning rock formations, exciting rodeos, and rich history. The Arizona by Map feature shows where you'll find all the places covered in the book. A special section provides quick state facts such as the state motto, capital, population, animals, foods, and more. Take a fun-filled tour of all there is to discover in Arizona.